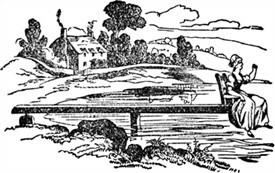 In his History of Southwell published in 1818 Richard Phillips Shilton stated that within the memory of some of the older inhabitants, there was, at the water mill, a then useless machine known by the name of the ducking stool. Does anyone know where other Ducking Stools were located in Nottinghamshire? This page was added by John Farjeon on 11/01/2013.